Not a member yet but interested? 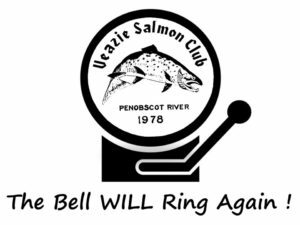 Please come join us at The Veazie Salmon Club at 30 Old County Road. Plan on a little social time, a bite to eat, some quick Club updates ending with a guest speaker. Tom McKechnie from Friends of Craig Brook will join us to talk about their organizations efforts towards Atlantic salmon population recovery too! Don’t miss it! RSVP’s always appreciated please and thanks! Free Fly Tying Tuesday January 15th! Starting at 6:00PM Fly Tying for everyone at The Veazie Salmon Club every Tuesday nite until further notice! Every Monday nite except Monday before Christmas and New Years, until further notice! RSVP for food prep purposes to info@veaziesalmonclub.org is greatly appreciated! Paddlers from MaCKRO will be stopping to meet at the Veazie Salmon Club on Sunday October 28th from 12-3pm. MaCKRO is an organization dedicated to the promotion of races throughout Maine and New England. We strongly urge you to join MaCKRO so that we can continue to expand the sport of racing canoes, kayaks, and SUPs. A current focus of MaCKRO is in promoting our sport to kids, women, and millenials. Welcome to VSC and enjoy! We welcome the UMaine Fishing Club and look forward to continuing to support and connect with fellow anglers!